Just when we began to see the end of the current restoration work, we discovered dry rot in the annexe floor. This means a lot of extra work to repair the annexe. Temporary repairs have been made but the building is not in a condition to be open to visitors. WATCH THIS SPACE FOR FURTHER DEVELOPMENTS. Opening status See Facebook You do not need to belong to Facebook to view this link. Opening season PUBLIC OPEN NIGHTS SUSPENDED UNTIL FURTHER NOTICE. See info. panel on right. Normally Mid Sept - Mid-April, but we do vary this from year to year depending on the position and visibility of the bright planets. 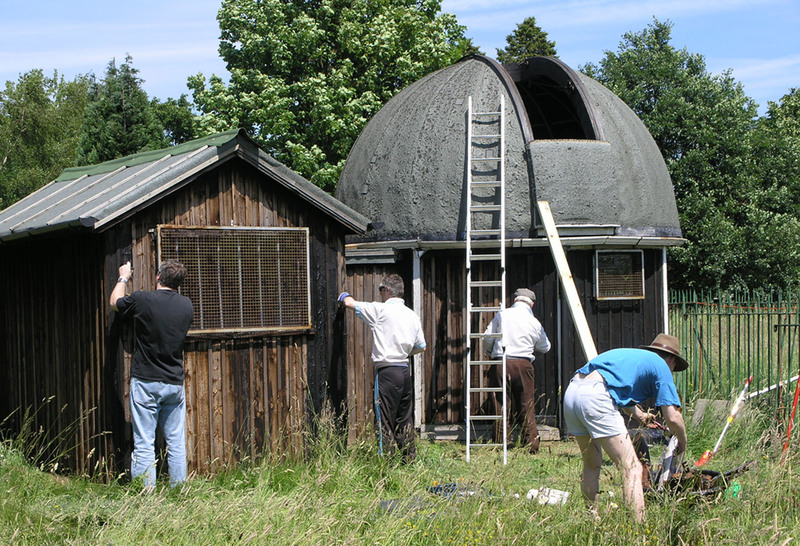 The observatory is closed during the Summer, because during this time, the sky does not really get dark and we need time to carry out cleaning and repairs, but we may open on special occasions. Opening times 8-10pm CLEAR Friday and Saturday nights. 11am-1pm CLEAR Sundays. Daylight opening is to observe the Sun. Exceptions Christmas Eve, Christmas Day, Boxing Day. We usually close on New Year's Eve and New Year's Day as well. Special Events Click here We will also occasionally open 'out of season' to cover such events as eclipses, transits and the unexpected arrival of bright comets. Clear skies permitting of course. Booking Not needed. No fee. Location Lower Terrace, near Whitestone Pond. TUBE: take the Edgware branch of the Northern line to Hampstead station (zone 2). 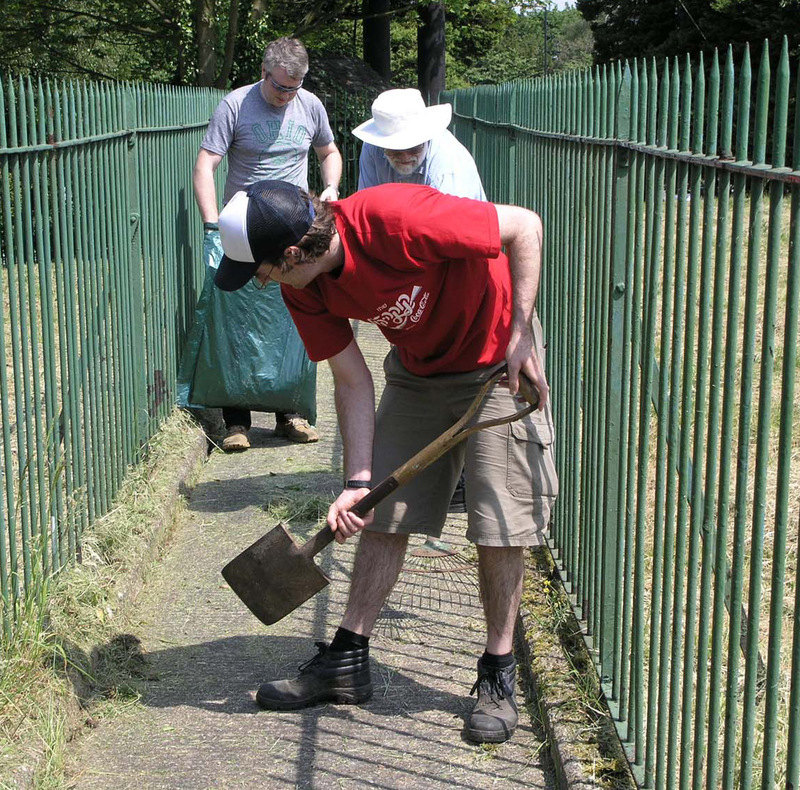 From here you'll have a short walk up the hill along Heath Street to the observatory. BUS: the 210 and 268 have stops near to the observatory. The 268 stops on Heath Street and the 210 on Spaniards Road. CAR: there is parking available on Hampstead Grove and Lower Terrace. N.B. You can park in any of the 'residents' parking bays after 8:00 p.m. but do look and take note of the parking restrictions sign-posts, as enforcement in Hampstead can only be described as 'draconian'. 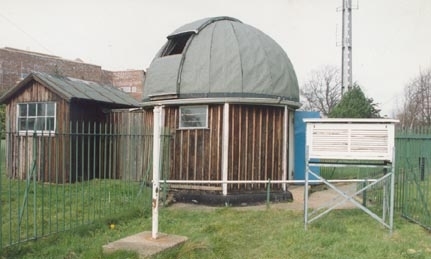 This is a small observatory which is one of the few, if not the only, observatory in London to provide for public viewing of the night sky. 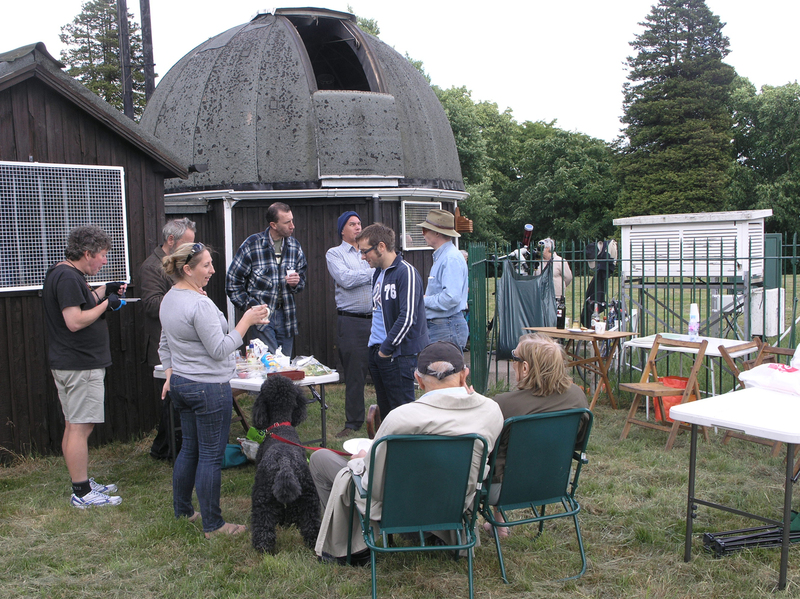 The observatory is one of the most visible ways the HSS promotes science providing views of the Moon, planets and other objects of interest on Friday and Saturday evenings. A more detailed listing can be found along this link. 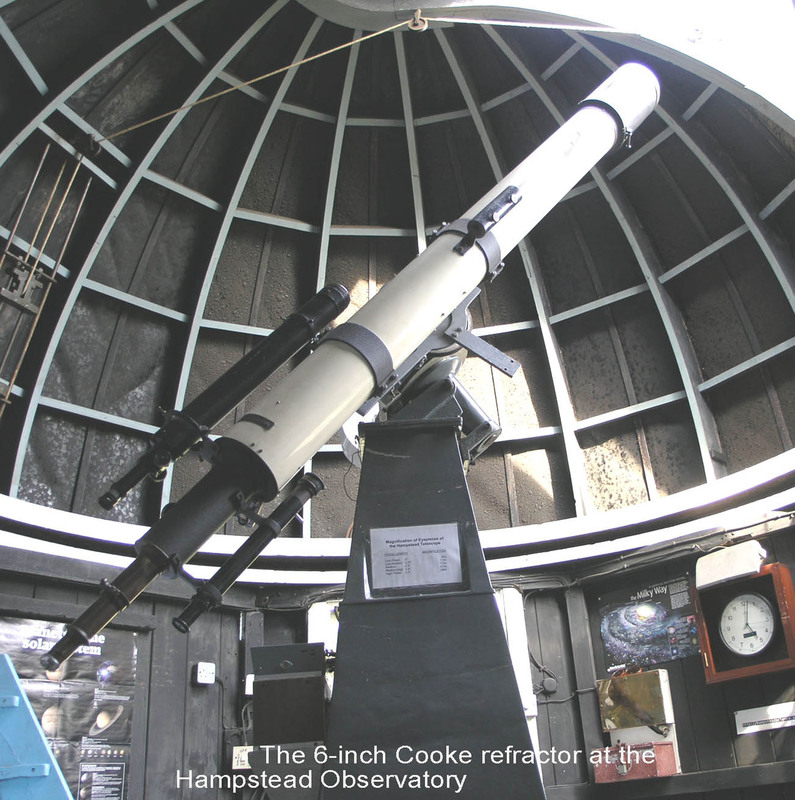 The main instrument at the observatory is a fabulous piece of kit: a 6" Cooke refracting telescope which dates back to the turn of the 20th century. Despite being so old it delivers superb views of London's night sky. 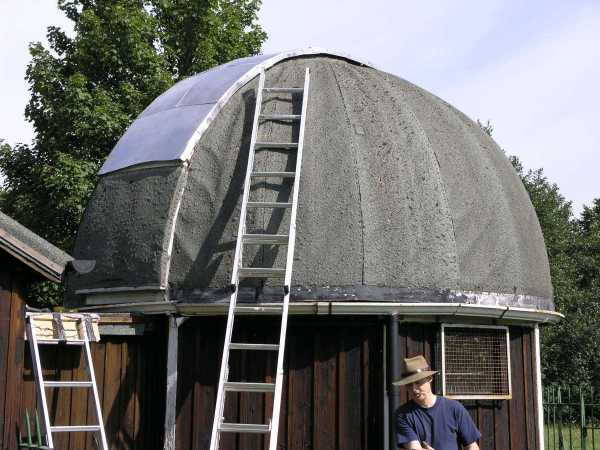 It is housed under a purpose-built rotating dome and mounted on a concrete pier. So it really looks like you'd expect. We also have a smaller portable 6", the 'Wildey' named after our former astronomical secretary Henry Wildey, who made it and also bequeathed funds to the society. 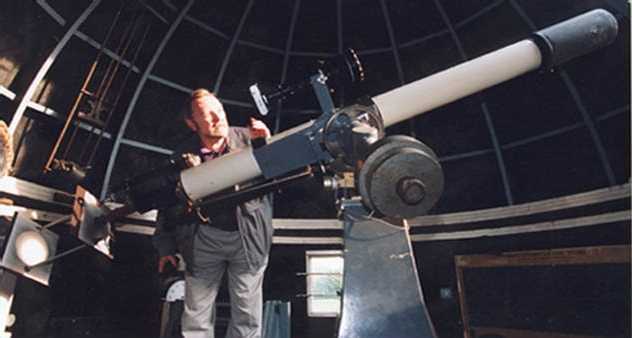 In addition to these instruments, members sometimes bring up their own telescopes and binoculars. One point which can not be over stressed. 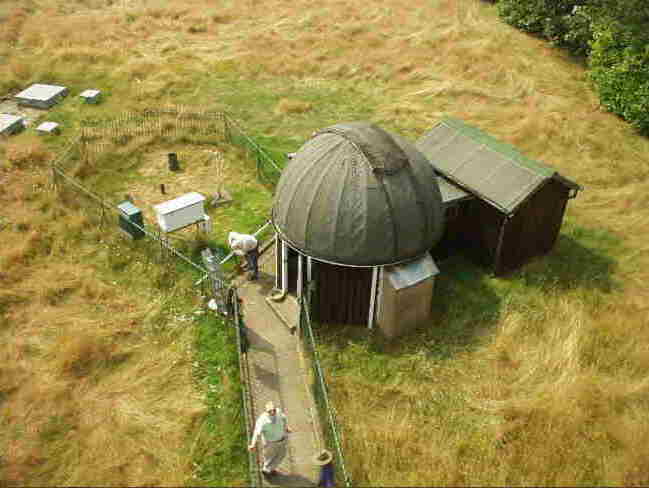 If it is raining, cloudy, or blowing a gale, the observatory will be closed. Common sense dictates that if the sky is not clear then there's no point standing about looking at a dull orange glow getting cold and wet. Bar heaters and fires have the same basic hue and will be superior companions on such nights. If you want a high-tech solution then following this link will open a new window to an external site. 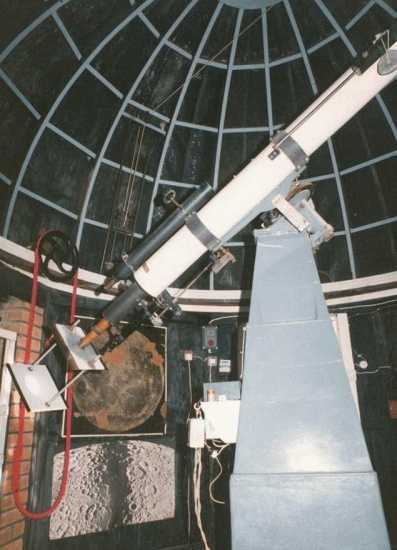 Our observatory cuts a striking figure inside and out, and here are some picutres. © Hampstead Scientific Society, 2007.